Go To... About Us Academic Editing & Coaching Business Editing Consulting Services The Refractive Thinker® Press Pensiero Press Charities We Support Writing Tutor eBooks and Audiobooks Events Dissertation Blog Doctoral Publishing Made Easy Follow on Classes Testimonials . 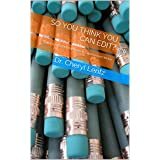 Join Dr. Cheryl Lentz in her latest books with proven strategies for the student pursuing their doctorate degree. I ordered and paid for your book on Delphi technique. I have not gotten a copy or link to download the book. I will give you until the end of the business day to provide access to the book, then I will contact Paypal and reverse the charge. I wonder why you do not provide a “Contact Us” option on your website. Jon—we do have a contact us option on the site. We did take care of your order. We appreciate your business.